The best online tech support services and companies are unfortunately sometimes hard to find and you often have to navigate your way through some of the worst, before you can find the best. This guide to online technical support services lists some of the top companies in the industry and identifies some of the service highlights to make your choice easier. As technology becomes more ingrained in daily life, the need for support has increased substantially. Downtime no longer represents an inconvenience, but now stands as a legitimate threat both to productivity and profitability for individuals and businesses alike. What is the best online technical support service? If you read the explanation of technical support on Wikipedia you will see that it covers a wide range of products and services for both businesses and consumers, ranging from computer repair and troubleshooting, to offering a live chat service. Getting help with a problematic telephone service is a common occurence that often requires an advanced level of technical support. While WhichVoIP is not a technical support service per say, we do have a team of experts and can offer you free advice on most VoIP or networking related topics. Just ask a question at the bottom of this page. We will also highlight which companies offer a voice related offering when we dig into the details of each service in the upcoming list. Utilizing chat, phones and remote login software, dozens of providers offer support not only for Macs and PCs, but for a wide spectrum of tech devices and software applications. With respect to features, pricing and quality of service, here are 10 of the top technical support providers operating today. Operating in the U.S., Canada, UK, Australia and Hong Kong markets, 24/7 Techies is a support provider serving both consumers and SMB (small-to-medium businesses). They advertise expertise in general Mac and PC systems and software, plus support for smartphones and online tools such as Google Apps. Unlimited support for a single computer starts at $159.95 annually. 24/7 Techies also offers marketing, cloud and server support for SMB customers, with plans from $499.95/year. AskPCExperts lists a gamut of brand-specific services for computers and gadgets including tablets, cameras, smartphones and digital audio players. They offer membership options for individual users as well as small businesses, with prices dropping significantly for two- and three-year contracts. A network setup service is available for both homes and businesses where AskPCExperts technical staff will setup and configure routers, network security and voice-over-IP service. Depending on your intended level of commitment, AskPCExperts can provide reasonable value. However, with a $249.95 price tag for a one-year individual plan, those not looking to take the long-term plunge should probably start elsewhere. Previously operating as iTok, Bask offers four tiered service plans, depending on your desired level of protection. The Silver ($9.99/month), Gold ($19.99/month) and Diamond ($24.99/month) options each require a $49.99 setup fee; The top-level Platinum service is priced at $34.99 monthly plus $99.99 setup. Bask users report solid satisfaction in techs’ knowledge and efficiency of service. Note, however, that the Silver, Gold and Diamond base membership prices cover only basic needs, such as PC optimization, malware clean-up and adding new devices. Major issues are still charged on a per-fix basis, with the exception of the Platinum service level, making Bask one of the pricier options out there. Best Buy’s contribution to the tech support field is one of the most-recognizable and best-reviewed according to customers. In addition to comprehensive PC and Mac assistance, Geek Squad offers protection plans for home appliances as well as automotive and entertainment devices. It's most popular package is available as low as $9.99/month with $99.99 setup and includes unlimited 24/7 remote service. Features include complementary Internet security software, device setup and networking assistance, plus agent access in-store, online and over the phone. Worth noting is that PhonePower and VoIP.com (home and business phone service providers), offer Geek Squad as an option for customer support. Taking a relatively unique approach to remote support, My Nerds offers it's subscription service ($240.00/year) as something of an afterthought. Instead, it emphasizes single fixes, which are available through a simple but clean website. Everything is executed via a web interface, including payment, which starts at $40 for what’s termed a simple fix. Single issues are repaired at $80 each, multiple issues at $120, and the repair of complex problems is priced at $160. My Nerds offers immediate refunds for any issues it is unable to resolve, such as in the case of hardware malfunctions. OmniTech’s website offers services targeted toward home users as well as SMBs, although making a distinction between the two is difficult. Service plans list features including support for various digital devices in addition to the standard fare: virus removal, PC clean-up, Wi-Fi troubleshooting, etc. With an annual subscription starting at $299.99, depending on issue and system configuration, you’re likely to find similar options with much smaller price tags. Support.com provides options both for subscriptions as well as one-time fixes. The catch: a single PC diagnose-and-repair stands to run you $129.99. Conversely, you can secure 24/7 support starting at $19.99/month (six-month minimum with $40 setup). Support.com also provides one-off fixes if you’re having problems with your wireless network ($79.99), syncing smart devices ($49.99) or simply looking for a general PC tune-up ($79.99). Those who prefer phone-based support should be wary; many users report lengthy wait times when calling in for assistance. 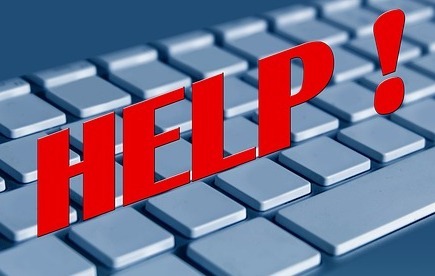 If you’re amenable to online support tools, however, Support.com should be considered. Customer satisfaction is one of the primary selling points of Tech to Us, a company offering up most of the standard menu items for a remote support entity. It's website is clean and appealing, and pricing is designed for simplicity: individual plans bill at $29.99/month (plus $100 setup) or $299.99/year. Business plans range from $49.99-$499.99/month for up to 20 devices. The Tech to Us business plans list one-hour response time and 9 A.M. to 9 P.M. availability Monday through Friday. A variety of a la carte options are also offered, including support for servers, firewalls, data recovery and more. For support-seekers who desire a more straightforward approach, USTechSupport keeps it simple: 24/7 remote assistance for all the basics, including virus removal, optimization and general troubleshooting. If you’re a novice user looking for help with software issues, Internet or device connectivity and other common problems, USTS is worth a look. Single-PC pricing starts at $19.95/month with a $39 setup fee, or get 12 months of coverage for $179. iYogi's stature in the tech support field has diminished in recent years, due in part to more competitive pricing offered by some notable competitors. It's Digital Home Plan starts at $149.99/year (renews at $119.99) and includes a five-year $30 licensing fee for iYogi’s Support Deck/Tech Genie PC optimization tools. While iYogi is recognized for providing competent technical support, users have noted that both their agents and bundled software are sharply focused on selling additional services. Your presence is also required during the execution of support functions, so be advised if you’re looking for a more self-contained solution. iYogi does offer a voice management service as part of it's specialized services for businesses. Ultimately, many of today’s remote tech support companies offer similar packages and pricing. While one-time fixes can provide substantial savings, ongoing service plans often ensure the greatest value for users with regular questions and minor issues. Always review the fine print and ask plenty of questions before making a long-term commitment, as the support option you invest in will likely play a considerable part in the reliability of your technology. I've had very bad results lately with the Geek Squad. They used to be very good, but in the last year, very bad. Haven't fixed what I asked for and messed up things in my MSOffice. Do you have any information about Tech Club. A few years ago, I was called by Tech Club and they said they had taken over iYogi business. Since then, they keep finding many things wrong with my 4 year old computer and telling me I have to spend thousands of dollars to fix it. -> Response: We cannot find anything official regarding Tech Club taking over iYogi business. If we were to hazard a guess perhaps they just bought the phone number from iYogi. There were quite a lot of lawsuits against iYogi it seems. Is OmniTech Support still in business? I have paid in advance for tech support thru 2019 and they no longer answer their phone service number. -> Response: I see comments on their Facebook page where people have been saying the same thing. Sorry to hear that. I am looking for a good, honest online tech support company. I used to have iYogi, which has since apparently been banned from doing business in the USA, and currently have Global Technology. While most of the technicians that I've dealt with seem knowledgeable and resolve the problem, many of them put you under a great deal of pressure to buy something extra (and EXPENSIVE). Is there a good, reliable US based service like iYogi or Global Technology from which you can buy protection and tech help for one price without being told that you need to buy something additional every time you have a problem? I bought the basic package from Global Tech, then later they told me I needed to buy internet security in addition, and then still later they told me that I need to buy web security or some such thing. And NONE of it is CHEAP. -> Response: Unfortunately the upsell is typical with most companies these days. Both bask and iyogi are out of the business.